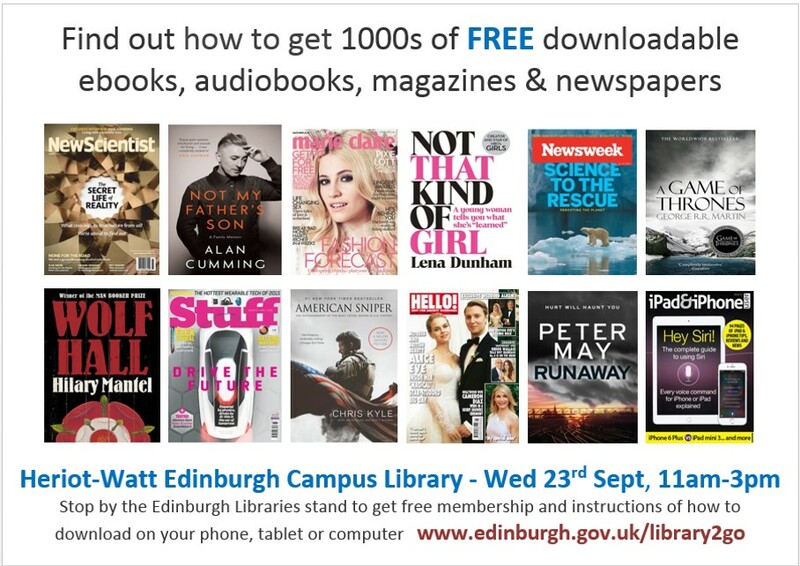 Did you know that you could borrow eBooks, eAudiobooks, eMagazines and eNewspapers for free from Edinburgh Public Libraries? OverDrive – thousands of fiction and non-fiction ebooks and audiobooks from fantastic authors such as George RR Martin; Bill Bryson; Lee Child; Bryan Cox; Hilary Mantel; Stuart MacBride and Stephen Hawking. OneClickdigital – hundreds of quality British audiobooks to download. PressDisplay (coming from October!) – over 4000 worldwide newspapers and magazines to read online before they’ve even hit the newsagents! Over 70 UK local and national newspapers available including the Scotsman and over 100 UK magazines.